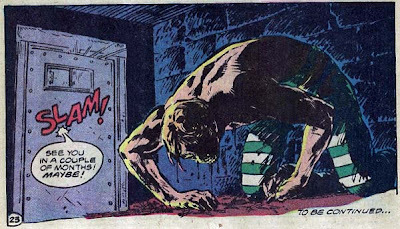 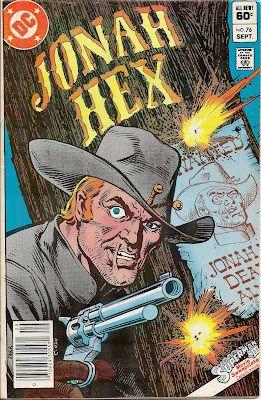 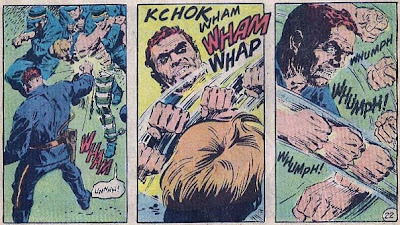 Matching Dragoons: Jonah Hex #76 "Caged!" 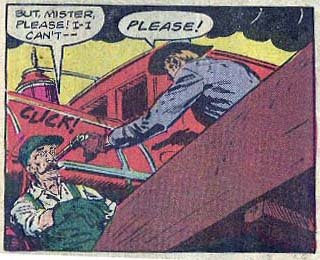 Ah, the old "framed for a crime, so that he can go undercover in prison" story! 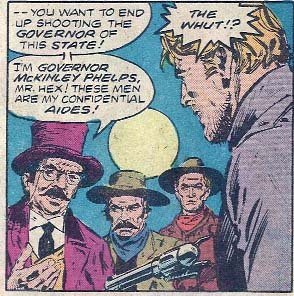 Yeah, there' a real flaw to this scenario, since I assume the Governor, could simply just fire the Warden and guards and appoint new ones, if there really was a problem. 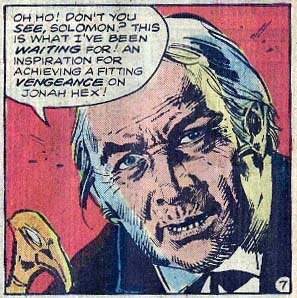 Jonah may be one heck of a gunfighter, but he's not the smartest bullet in the belt, if you get my drift. 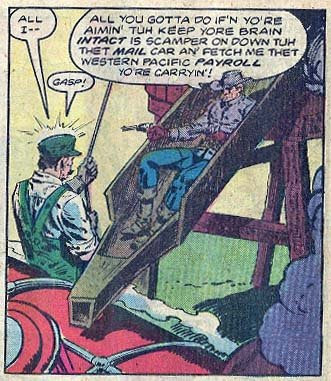 Actually, that's not true, he's smart enough most of the time.